I get so many questions about my beauty routine and products I swear by, so here's a page about it! Every product I describe below is one that I actually use and SWEAR BY... meaning I will recommend them to any and everyone who asks me and know that they will love them too. As I've entered my late twenties, my skin has changed a bit from needing help with acne, etc. to becoming more combination, duller, needing brightening and of course trying to add in an anti-aging regimen. I also recently became more aware and concerned about the ingredients that are in my skincare and makeup, and wanted to make a change to safer products that I could feel good about putting on my skin. First, a disclaimer: I hate MLM's. Always been annoyed by them, and have always been super skeptical of them. 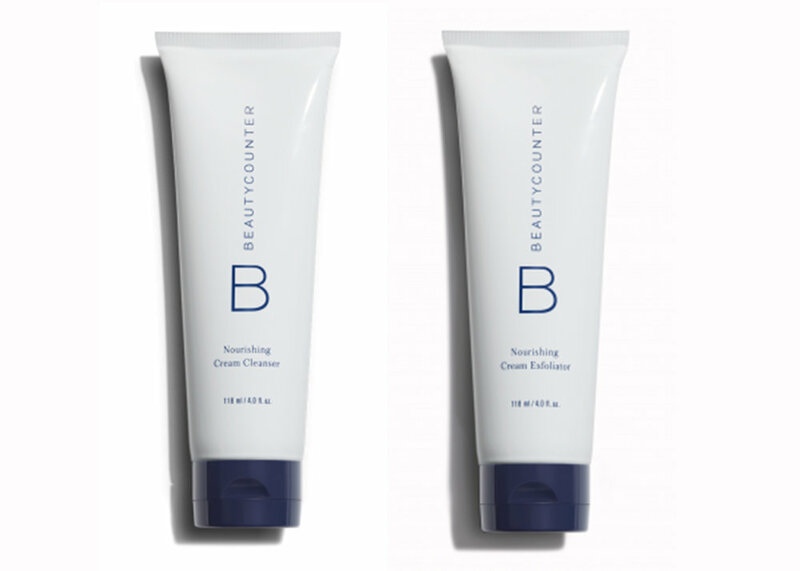 I decided to give Beautycounter a try for the really logical reason of - I LOVE their branding -ha! It's so simple and pretty and I've always been intrigued. I'm not kidding - two days of using it and I was HOOKED. I loved it so much that I decided to sell it. But - you'll never hear me pushing BeautyCounter products all over you! I really don't want to be THAT girl and if you're like me, you'll appreciate that! This page exists as a resource for those of you who are interested in knowing what I use on a daily basis and how I use it. I still integrate non-BC products into my routine and will proudly share them. Notice this is not just a link to my BC site telling you to use it ALL, but a roundup of my absolute favorite products and the ones I use every single day. 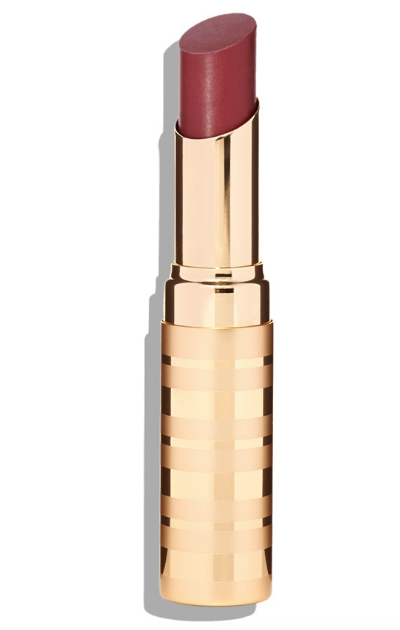 If you have any questions about Beautycounter at all, don't hesitate to ask! About my skin: I have combination skin, meaning that it's pretty normal in the morning but by the end of the day I feel like it starts to get shiny. Occasionally I have dry spots in the winter, and I find that my skin is oilier on my forehead and around my nose. This is what works for me! I start every morning and night by washing my face with either the cleanser or exfoliator. I interchange the two throughout the week. Both are gentle enough to use everyday. Intense Moisture Serum (goes on after washing face): Delivers a concentrated boost of moisture for immediate and lasting hydration, while vitamins C (ascorbic acid) and E (tocopherol) provide antioxidant protection. Adaptive Moisture Lotion (goes on after serum during the day): Helps skin adapt to the ever-changing aggressors of modern life by adjusting hydration and oxygenation levels throughout the day. This lightweight lotion hydrates skin throughout the day to provide 24 hours of hydration*. Recovery Sleeping Cream (goes on after serum during the night): With an advanced blend of hyaluronic acid, plum oil (Prunus Domestica Seed Extract), and tara gum (Caesalpinia Spinosa Gum), this rich cream creates a protective layer to shield skin from moisture loss, replenishing hydration and revitalizing skin while you sleep. I use this like a foundation, since I don't use an actual foundation. I have never tried a tinted moisturizer that makes your skin look so DEWY. It feels a little bit sticky when you first put it on, but then melts into your skin and creates a dew effect without looking shiny, while also providing coverage. Even when I'm not wearing makeup (which let's be honest is never), I wear this. 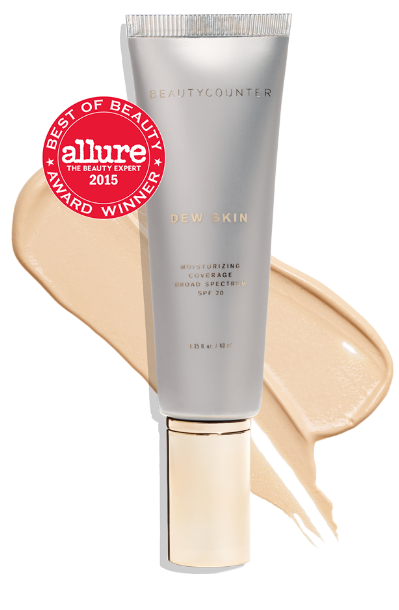 It covers minor imperfections and evens out skin, while giving you a dewy glow. Plus, it has SPF 20. *If I want more coverage (i.e. nighttime, photos, events), I'll use the foundation (in 'SAND') after the dew skin. I apply this under my eyes, around my nose, and on any blemishes or problem spots. I love that you can use the brush to 'paint' it on in the areas you want to make brighter or cover. I use the 'LIGHT' shade. 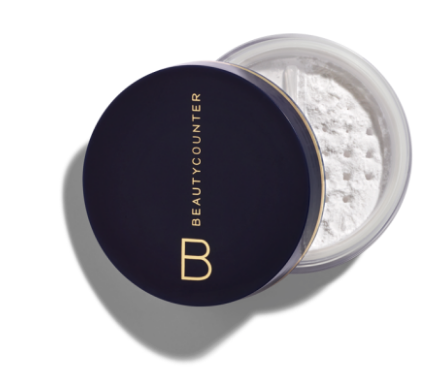 After I use the concealer, I put this mattifying powder all over my face. Then, I use Painted Earth 'Saffron' powder under my eyes and around the nose to brighten. This yellow powder neutralizes red spots and can also act as a highlighter. Painted Earth is another all-natural brand that you can feel good about using! Next, I use the bronzer in the "Winter Jewels" palette. It is soooo pretty y'all. The perfect dusting of sheen and warmth and a little bit goes a long way. I use this on my cheekbones, then use the blush on the apples of my cheeks for some color. When I found the Winter Jewels palette, I said goodbye to all the eyeshadow palettes I've collected over the years. This is just SO pretty for any eye color (mine are brown). The three colors I find myself using the most on my brown eyes are Rose Quartz (all over lid), Garnet (in crease) and Topaz (along lower lash line). I also love the Ocean & Pacific Palette for blue eyes! Then, I finish off with Monsieur Big mascara... I absolutely love this stuff because it's lengthening and thickening! PSA - I do use Rodan & Fields' Lash Boost which is why my lashes are so long. I get questions about this ALL THE TIME and that is my secret.